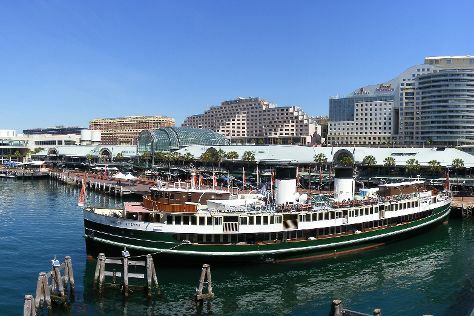 Your cultural itinerary includes sights like The Rocks and Darling Harbour. Take a break from the city and head to Scuba & Snorkeling and Clovelly Beach. The adventure continues: don't miss a visit to Sydney Opera House, stroll through Camp Cove, admire the natural beauty at Royal Botanic Garden Sydney, and kick back and relax at Manly Beach. To find maps, photos, where to stay, and tourist information, read our Sydney trip planner . If you are flying in from Mexico, the closest major airport is Sydney Kingsford Smith International Airport. In March, plan for daily highs up to 30°C, and evening lows to 22°C. Finish your sightseeing early on the 4th (Mon) to allow enough time to travel back home.